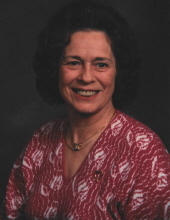 A celebration of life service for Sarah Elizabeth “Liz” Kalbach, 79, of Stuart will be held at 10 AM Saturday, March 23 at Johnson Family Funeral Home & Crematory in Stuart. A private burial will be held in North Oak Grove Cemetery. Visitation will be held Friday March, 22 at the funeral home. Memorial contributions may be made to the Liz Kalbach Memorial Fund may be sent in care of Johnson Family Funeral Home. Online condolences may be left at johnsonfamilyfuneralhome.com.